This is the standard Unix authentication module. It uses standard calls from the system’s libraries to retrieve and set account information as well as authentication. Usually this is obtained from the /etc/passwd and the /etc/shadow file as well if shadow is enabled. This module provides functionality for PAM modules such as authentication, account management and more. Same module can be used to maintain a list of old passwords for every user. This is useful if you want to disallow use of old passwords. The old password list is located in the /etc/security/opasswd file. /etc/pam.d/common-auth – OpenSuse/Suse Enterprise Linux pam config file. 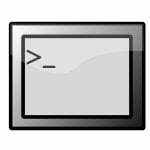 /etc/pam.d/system-auth – CentOS/RHEL/Fedora/Red Hat/Scientific Linux pam config file. 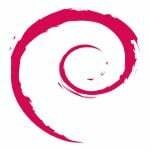 /etc/pam.d/common-password – Debian / Ubuntu Linux pam config file. /etc/security/opasswd – Store old passwords. #* NOTE on a Linux (modern version) distro you do not need to set a full path *# ## 64 bit distro ## find / -iname "pam_unix.so" find / -iname "pam_unix2.so" ## 32 bit distro ## find / -iname "pam_unix.so" find / -iname "pam_unix2.so"
Fig. 01: Finding pam_unix full path on a Linux. Save and close the file. Please note that the last 13 passwords for each user are saved in /etc/security/opasswd file in order to force password change history and keep the user from alternating between the same password too frequently. And there you have it. The pam_unix.so/pam_unix2.so configured to the number of previous passwords that cannot be reused. I also suggest that you use the pam_cracklib Linux pam module to set password quality requirements. Linux check passwords against a dictionary attack. Locking user accounts after too many login failures and lock/unlock user accounts using PAM. it does not work on my centos5… i tried to change my user password and tried use again my old password but it does not warn me that i already used my current password. I am a fan of your website, Thanks for posting such interesting topics. 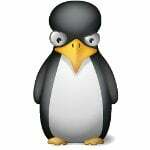 I am working on Linux security, using linux applications. Your website is very helpful for me. I always give it first preference when i found your website link. Ok, Now Can you please tell that it is possible to verify a new password has not been used in the last six months. it does not work on my centos,actually after appending remember=10 still the /etc/security/opasswd file is empty….? pam_unix2.so on SLES11 does not support md5, shadow, or remember paramenters. Use pam-config --verify before posting this.